Students sing outside Beulah AME Church Parsonage, Farmville, Va., August 1963, in protest of the closing of Prince Edward County Schools. Woman singing at left is Ernestine Land. Tony Reid stands at right. 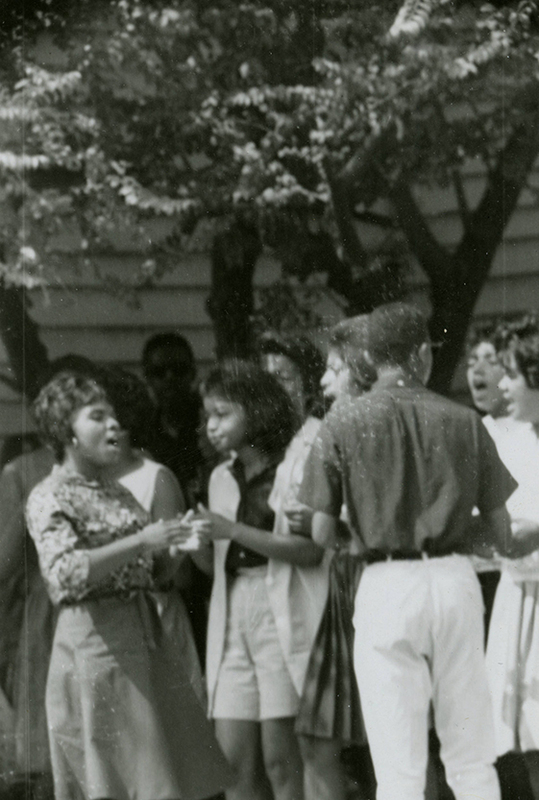 “Students sing outside Beulah AME Church Parsonage, Farmville, Va., August 1963,” Social Welfare History Image Portal, accessed April 26, 2019, https://images.socialwelfare.library.vcu.edu/items/show/281.